If you can please post a screenshot of below commands outputs. You have not assigned a drive letter W to the System volume that is the reason commands are not working. I have also notice System volume now labeled as Hidden this should be no problem but if nothing works we may have to recreate this partition (volume). Please execute below commands one at a time and post a screenshot of the commands outputs. Please execute below commands one at time. Forget to add you need to exit Diskpart before executing above commands type Exit and press Enter key and execute above commands. 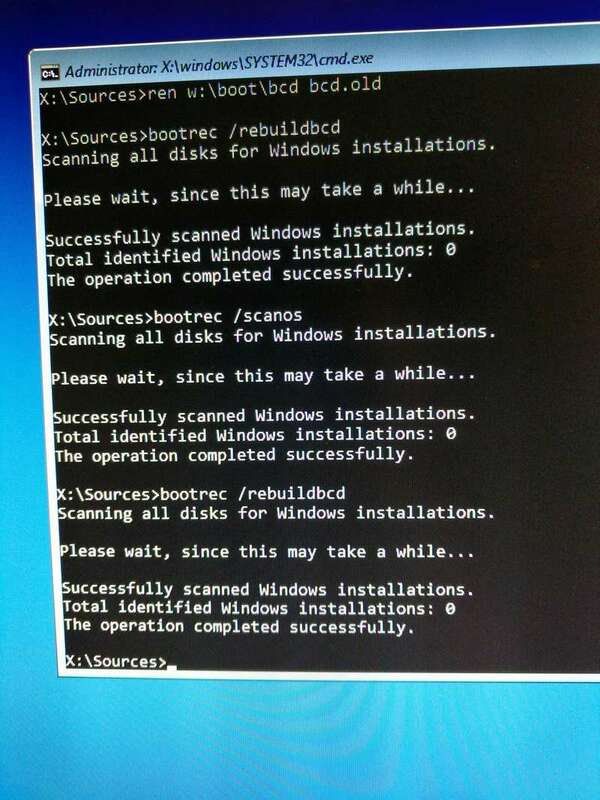 okay have done so, it says please wait.. then scussfully scanned and total identified windows installations 0 operation completed successfully. 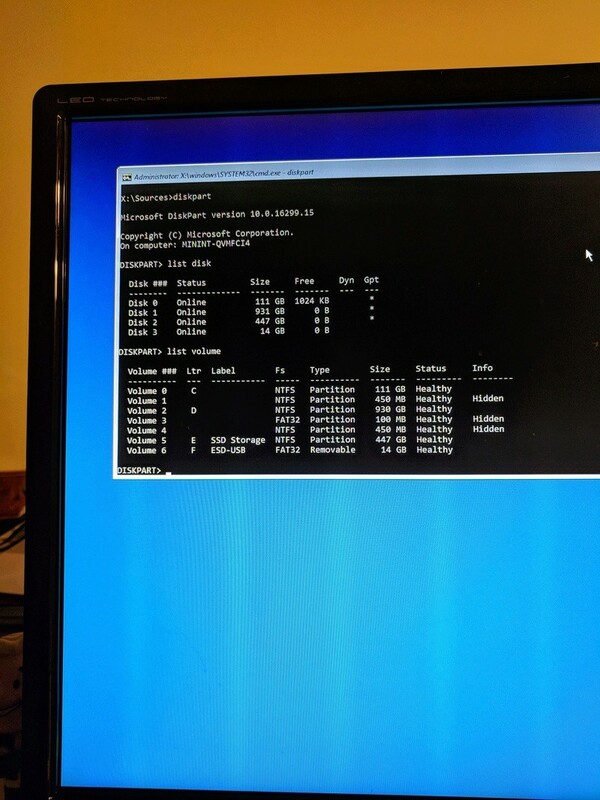 Please post a screenshot of these commands output. 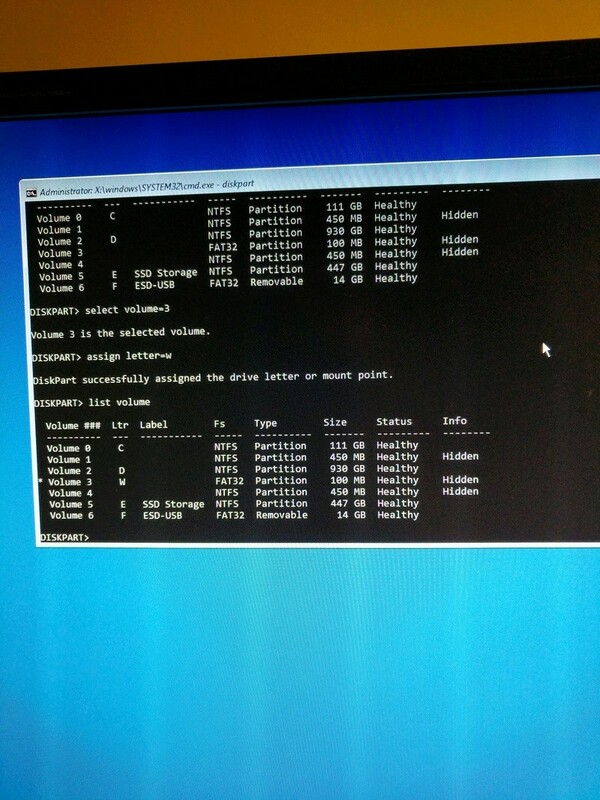 It looks like we need to recreate the System partition but before doing that restart your computer to find out if issue resolved. If issue not resolved then again execute below commands, if again no operating system found we will recreate the System partition. i did reboot and tried again but BSOD reappeared, so now back into command prompt and have done those two steps again as per your message 0 identified and 0 identified in both and both operations successful. For me to help you recreate a System partition i need to know which disk the Windows 10 installed on is it installed on Disk 0, disk size 111 GB? Also you will have to post screenshots some of the command i will ask to execute i need to see output of the commands. Well you have 111GB size disk listed at Diskpart screenshot you have posted others are bigger than 111GB disk, i think this disk is the one where Windows 10 is installed.